Lp Tim chanted this beautiful batch of Phra Pita yang yun made from 9 different metal and donated to Wat Pho Tong for temple building. Coded with 3 code (1 in the front and 2 on the back) makes this piece even rare than the usual 1 code phim. 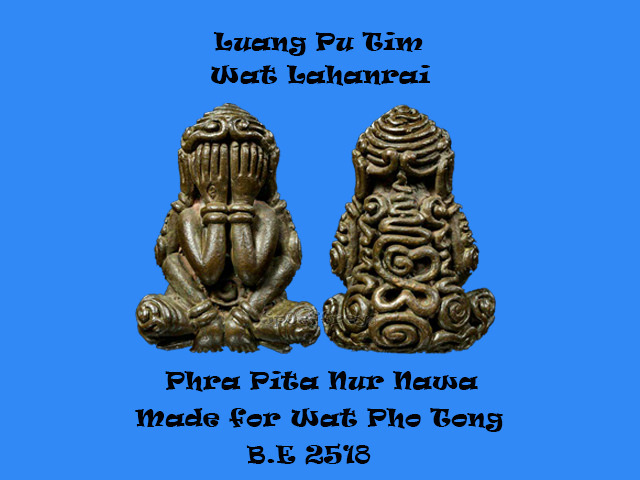 Lp Tim Pita is known for protect, metta and wealth, a great piece to collect and to wear daily as piece from Wat Lahanrai itself have been rising over the years till not many is able to affordable hence amulets made for other temple chanted by Lp Tim is the best alternative. 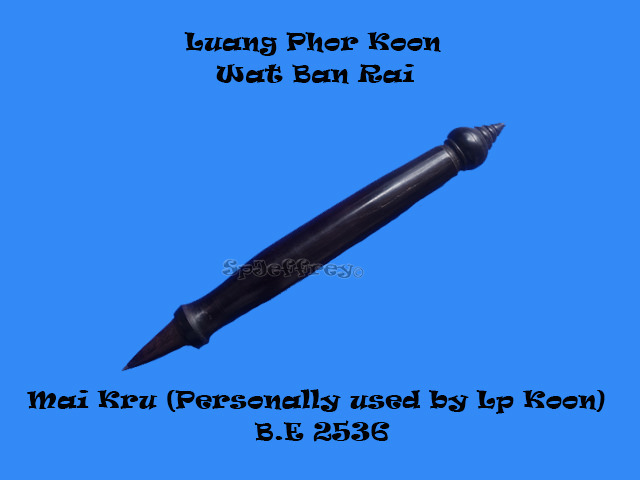 Personally used by Luang Phor Koon when he is still alive and used it many tarkut drawing. 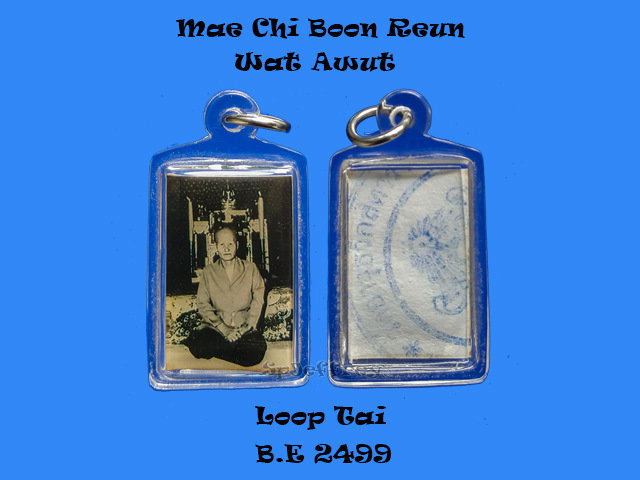 While chanting and drawing the tarkut with the mai kru, the mai kru itself also receive power from Lp Koon chanting which makes it an powerful holy item. A great piece to place it at home, work place or even your vehicle for protection against harm, evil, bring wealth luck and fortune. 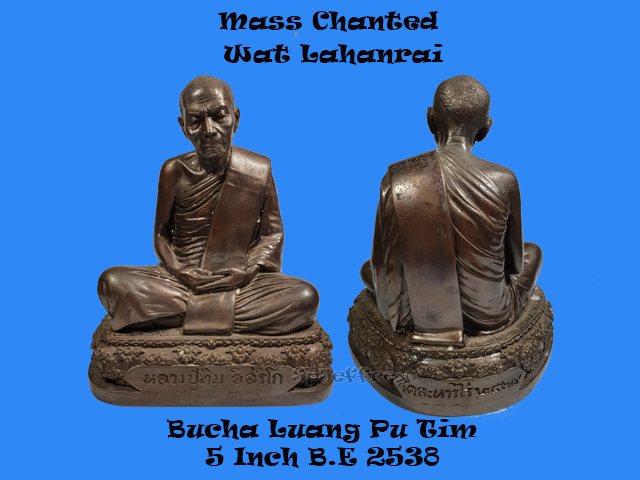 Luang tar Chaiyat is well known in the south and many believer visited him for wealth and metta blessing and gotten very good after which. 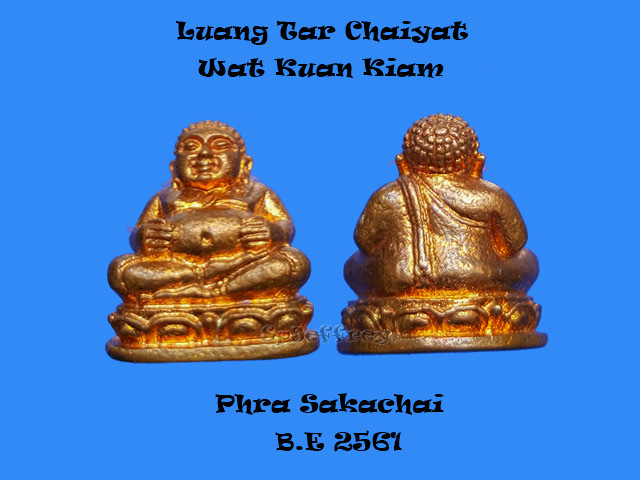 Phra Sakachai is known to bring wealth to wear and Sakachai that have the image of holding its stomach is known to kept wealth and prevent leakage of personal wealth. 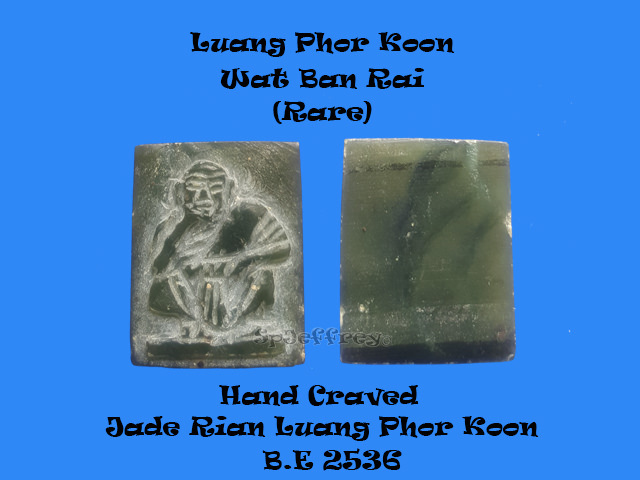 Jade have always been a symbol of power and represent wealth in one person or family which this piece of beautiful jade have been hand craved into a image of Lp Koon, chanted by Lp Koon personally as during that year he was still very healthy. Lp Koon once said that those who have been will not be poor and indeed those who pray to him wholeheartedly had enough for their lives and some even survive from freak accident. Excellent piece for collection and wearing it on a daily basis for protection, wealth, luck and succession in everything you do. 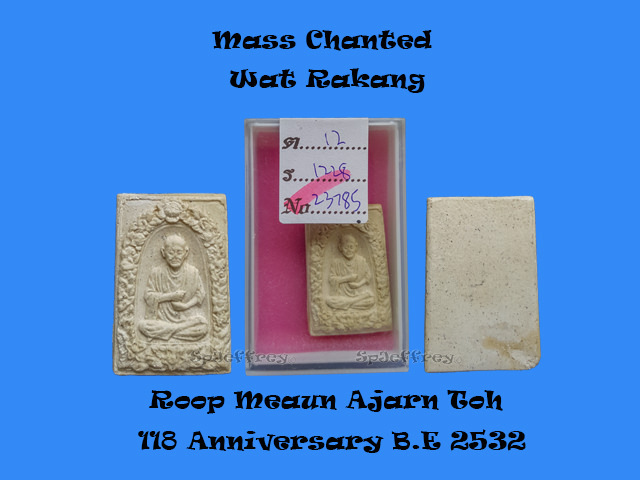 Chanted by many top monk of the era to create this jumbo piece image of Ajarn Toh. 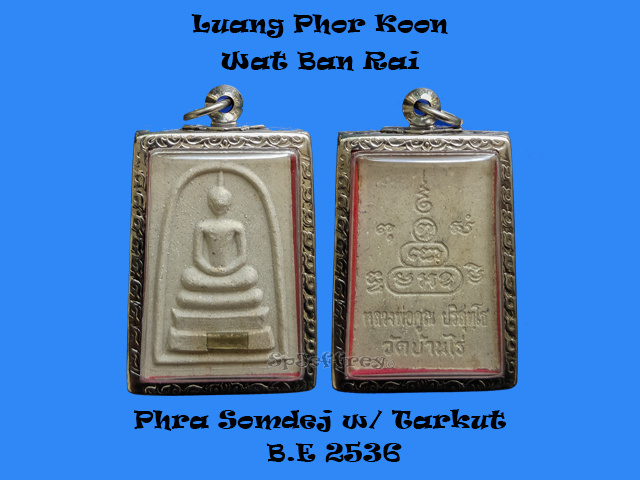 As the creator of Phra Somdej, Ajarn Toh is highly respected during his time and even till now its famous all over the world. 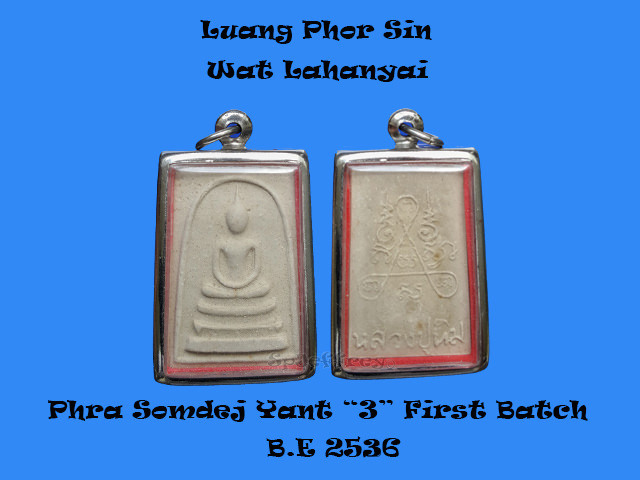 Believer pray and wear Ajarn Toh image for smooth sailing of life, wealth, luck, protection and metta etc which is also known as an all rounder amulet. A piece best to place it at home or at your office for daily prayer.